Probably not. Hi, My name is Richard Dolesh, I am the owner of Dolesh Edit Design, which is a unique small, but powerful digital video production and editing service that handles all aspects of digital video and graphics production and design for businesses and organizations. In the last 20 years, I have worked in the field of video production. I spent 6 years at a large ad agency in downtown Cleveland. And the balance of years at other firms in video production, from filming weddings to helping on a ‘real film’. In all these different jobs in video production, shooting, editing, and designing, I have encountered an amazing array of experiences from which to draw. This experience helps immensely ad value to each new job, as every billable hour yields far more because of the range of experience. That being said, it still doesn’t mean I’ve ‘arrived’–in fact I’m amazed by how many skilled editors there are out there, and while I have grown, I’ve also realized when the job demands skills outside my own. I studied marketing, psychology, and art in college then started my career in video production, but then went back for some additional training in art and writing (resume available). In fact, so many of my past clients have needed help with developing their”Dramatic Difference” that I have over the years developed modest writing skills in addition to my production and editing skills. It really all ties together. Good ‘concept’ or script, helps dramatically contribute to a great video. 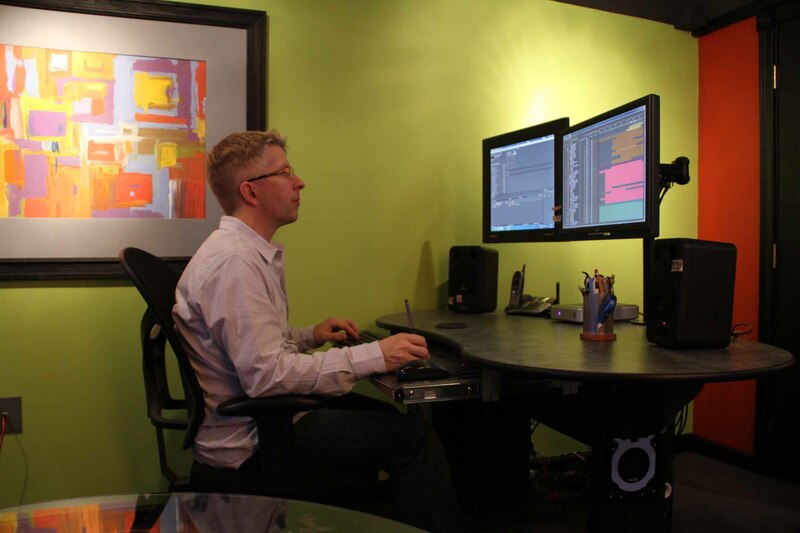 I believe Dolesh Edit Design gives savvy customers an amazing value for every dollar invested in video production. Even modest investment in your firms promotional videos, tv spots and or Youtube videos usually have an exponential payback over time. Because today’s internet presence, having your message, or your ‘Dramatic Difference’ in a digital form–ideally video or animation will now likely be some of your hardest working assets! Flexibility to do multiple media outputs in addition to video production: DVD authoring, web output, Flash and Printed pieces (Postcards/banners/etc). Very creative. So much so, that preferring to do things that haven’t been done before. Perspective. With 20 years in the industry and 14 of those doing broadcast level work in Cleveland’s Ad agencies and post production houses. High value. We archive each project you do with us at no extra cost, so as the second and third project come to pass, savings are starting to be realized. We save you money over working with an amateur. Accessing clients needs and pains, struggles to help them market more effectively, giving them affordable solutions: Not every client has $10,000 to spend on a marketing concept video. Some small businesses have only a few hundred dollars (and high expectations : ) but that’s okay! Dramatic changes in digital video production has ‘shook up’ the video production world. If one can remember the days when word processors became available, suddenly ‘anyone’ was now an ‘author’. Well, a similar effect has happened in the video production world; the skilled artists (not the tools) are still the single most important feature in the success of your new film/video. And while I have seen many interns and fresh college grads do at times great work, it can be risky trusting one to your project if you need to re-visit the project 6 months later, and he or she is now in Vermont and sold her computer (with all your project files) and is now in sales! You need to re-edit the piece 1 year later; no problem, we archive your project safely for no extra cost. You need to output the video into a new format for your growing website; no problem, we have industry standard conversion software to meet any future formats that arise. You need to pull a ‘still frame’ from the video for print; no problem, we understand what ‘ppi / CMYK / RGB’ means and can work efficiently with all professionals in related media business. You want to change the Voice over and ‘spice up’ your current video; no problem, we work with studios and may already have a voice and new look in mind for your video. You have a problem you don’t know what to do! It can be a real problem, but Luke 1:37 says “with God ALL things are possible” and that is what will be applied to the problem until a solution becomes evident! Thanks so much for dropping your encouraging note. Very kind of you. Are you studying at CCC? I took an Art Theory class there that was excellent! I’ve done well this year, all by God’s grace… I’m constantly humbled by how good other animators / designers are…out there. Rich~ I graduated high school with you and am now studying digital design and animation. I had to check out sites for one of my classes. I stumbled upon yours. I am happy to see you are so successful! I love your work and hope to be able to do as well with the design portion. Congratulations!